The good news is that there are many ways to improve your English skills by enrolling in English classes, for example. Many institutions provide a wide range of predominantly vocational courses, even if many of these are far from perfect for everyone’s language needs. For example, vocational school programs are in general shorter than university courses, and they often provide hands-on experience. The flip side is that because the courses are usually concentrated into a short format, the schedule is less flexible and some extra ‘material and workshop’ fees are often mandated. Another (and cheaper) way to improve your English skill is to make the language part of life at home, at work, and during your free time, to expose yourself to the nuances of the language as much as possible. You might want to read books in English, listen radio podcasts, watch English movies, news and television shows, and practice by writing as much as possible (like this blog post, for instance). It might take time, but doing all or at least most of these things will eventually pay off. In any self-taught situation, however, improving your speaking skills might be a bit more difficult because you will have to build up the confidence to speak in another language in front of people, despite making mistakes. This is doubly challenging if you are naturally a shy person. Travelling in an English-speaking country is probably the best way to improve your English skills efficiently. English is today in many parts of the world the ‘default’ linga franca, so that if you want to be able to communicate with the world around you, you will have to overcome any fears of making a mistake. The only drawback is that not every student can afford to drop her/his education for a year or so to travel and live in another country — moving overseas is not cheap. It is common (even compulsory) in academia that a student either does a PhD or applies for a postdoctoral position in an English-speaking country. This immersive experience presents many other advantages than just becoming fluent in English and continuing the educational pathway: you will also learn how other institutions work, develop new skills, increase your networks, and definitely gain self-confidence. Yes, there are some constraints related to moving overseas, like feeling alone, building a new life from scratch, adjusting to your new environment, and the exhaustion that accompanies speaking another language 24/7. Neither is it generally as easy as one might think to move overseas even temporarily, because some countries and universities request evidences of language proficiency either to be able to grant a student visa or even to accept a candidate, but the potential rewards of doing so are definitely worth it in the long run. Speaking is probably the skills that will improve the fastest at least in term of casual conversation, but writing prowess will take probably more time to grasp mainly because scientific writing presents its own sets of rules that require time and practice to master. The take home message is that with time and commitment, you will acquire a good command of English and you will feel more confident in your day-to-day research. Focus on publishing, and get the most out of your working groups and lab meeting because these will only serve to improve your English incrementally. But be warned — unexpected side effects of your commitment and hard work to pick up a new language through your scientific endeavours could also ensue. The first is that having good science-writing skills does not guarantee that you will become a ‘born translator’ in other writing genres. Other genres obey other rules and require different sets of skills. 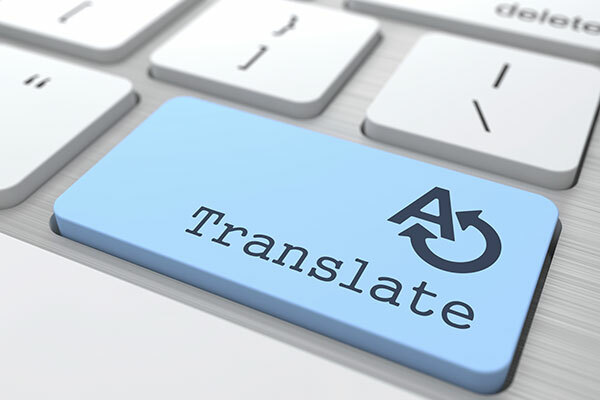 In other words, speaking English is not enough on its own, so the results of direct translation could be clunky at best. The second and more frustrating side effect is that as you spend time to improve your English skills, you might realise that you lose command of your mother tongue. I cannot even count how many times I have failed to translate an idea or even a word from English to my mother tongue (French, in my case), so that I ended up relying on Google Translate instead. I think that this is even worse when you have to write a paper or a report in your mother tongue and you realise that you’ve spent half the day writing something in your mother tongue that normally would take you half an hour to write now in English (and even then, the bloody thing still does not sound right!). So, congratulations! In your quest to master a second language, you have now to work hard not to lose your first!